Red Yucca is a Texas Native Plant seen in the western portions of the Edwards Plateau. Hesperaloe parvifolia is not a true Yucca although it does look very similar to Yucca and can be used in the landscape in the same ways. 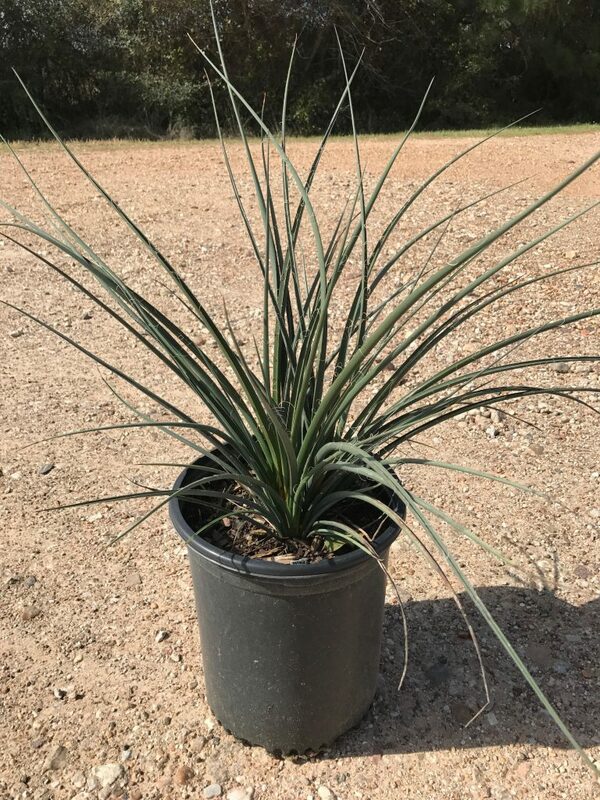 Red Yucca has thick sword shaped recurved gray-green foliage. The plant itself only reach 2-3 feet in height but the bloom can reach up to 5 feet in height. Red Yucca blooms starting spring and keeps going until early fall. The flowers are more pink or salmon in color, these are borne on tall spikes, are tubular in shape and do a great job of attracting hummingbirds and butterflies into the garden. 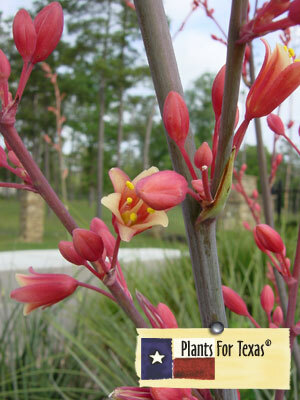 Hesperaloe parvifolia is part of our Plants For Texas® Program, meaning it was Texas Grown, Tested in Texas to perform outstanding for Texas Gardens.